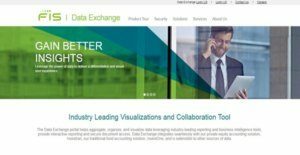 SunGuard DX (Data Exchange) is an industry-leading and flexible data visualization and collaboration solution which allows firms and teams to access, aggregate, organize, and visualize business data; and transform them into valuable insights. Equipped with powerful self-service capabilities, business intelligence tools, and reporting features; this online portal enables users to deliver a seamless and unique visual user experience to their colleagues, clients, and stakeholders; streamline their business processes, and ensure that corporate data and information are always secured and protected. SunGuard DX offers features which make it easy for firms and their teams to promote and extend their brand, helping them improve their online presence. The solution is also built with a virtual data room that permits them to organize documents and attachments in one place and search for them easily. It provides document parsing capabilities that can divide merged files into individual files. In addition, SunGuard DX has workflow automation features that let users simplify their business processes and gain full control over their tasks. Last but not least, the data visualization and collaboration tool has the ability to connect to multiple data sources, produce dynamic content, and streamline the way users come up with visualizations and business insights related to their data. One of the great features offered by SunGuard DX is that it is not just a solution used for data analysis and visualization, but it also a tool that allows users to promote their brand and optimize their online presence. With SunGuard DX, they can promote and extend their brand by utilizing a virtual data room which they can tailored to their own corporate identity. They can apply custom colors and use cascading style sheets. Moreover, the solution permits them to share information and content across social media platforms and channels, as well as generate visualizations which layouts render beautifully on mobile devices. Document management is another feature available in SunGuard DX. The solution ensures that users are able to organize all the data they need systematically, improve access to documents and attachments, and make their data, documents, and visualizations searchable within its virtual data room. It provides a feature which enables them to easily manage and control digital rights. They can also tag documents, scan them to check if they contain malware, virus, or any harmful content; and generate attachments that are specific to each investor. As part of its document management features, SunGuard DX has document parsing capabilities. For example, it can divide merged PDF files into individual files. Once the PDF files are parsed, they are then packed so users can easily import them into the solution. Merged MS Word files can be parsed too and converted into PDF files. Collaborating on data, insights, and visualizations using SunGuard DX is a breeze. This is because the solution provides workflow management and automation features that assist users in structuring and automating their business processes and tasks, working with their investors, reviewing their documents and attachments, and sending changes to business data like bank account details or wire transfer instructions. SunGuard DX is built with workflow modules which contain common workflow models that can be configured to support one’s business processes. One way of configuring such workflow models is by enabling email notifications. For instance, users can set up and configure a workflow model in such a way that alerts and notifications are sent to users via email once tasks are completed. When tasks are assigned to team members, they can also receive email notifications. With SunGuard DX, firms and teams can generate interactive visualizations associated with their data and enrich them with dynamic content so that team members, investors, and other stakeholders can easily explore and understand the data and produce meaningful insights about them. They can also access data from multiple sources, organize them in one place, and even combine them together. If you are interested in SunGuard DX it could also be a good idea to examine other subcategories of Best Virtual Data Room Software listed in our database of SaaS software reviews. It is important to keep in mind that hardly any app in the Virtual Data Room Software category will be a perfect solution that can meet all the goals of different company types, sizes and industries. It may be a good idea to read a few SunGuard DX reviews first as some software may excel exclusively in a really small set of applications or be designed with a really specific industry in mind. Others might work with an idea of being easy and intuitive and therefore lack complex features desired by more experienced users. You can also find apps that support a wide group of customers and give you a complex feature set, however that frequently comes at a higher cost of such a service. Ensure you're aware of your needs so that you purchase a solution that provides all the features you look for. How Much Does SunGuard DX Cost? SunGuard DX’s SMB and enterprise pricing plan information is available only upon request. Please contact the vendor, and get your quote. We realize that when you make a decision to buy Virtual Data Room Software it’s important not only to see how experts evaluate it in their reviews, but also to find out if the real people and companies that buy it are actually satisfied with the product. That’s why we’ve created our behavior-based Customer Satisfaction Algorithm™ that gathers customer reviews, comments and SunGuard DX reviews across a wide range of social media sites. The data is then presented in an easy to digest form showing how many people had positive and negative experience with SunGuard DX. With that information at hand you should be equipped to make an informed buying decision that you won’t regret. What are SunGuard DX pricing details? What integrations are available for SunGuard DX? SunGuard DX seamlessly integrates with Investran, a private equity accounting solution and InvestOne, a fund accounting solution. These solutions are also developed by FIS. In addition, SunGuard DX can be integrated with other data sources. If you need more information about SunGuard DX or you simply have a question let us know what you need and we’ll forward your request directly to the vendor.